This partnership project between Derry City and Strabane District Council Museum Service and Guildhall Press began in October 2014. 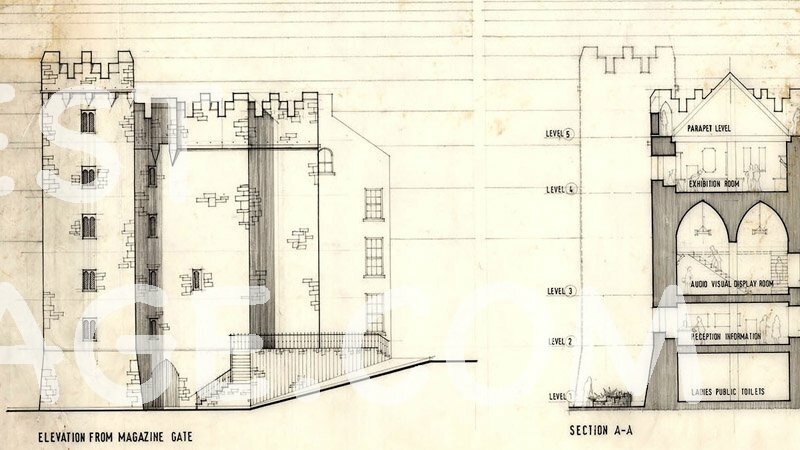 It aims to conserve, digitise and make accessible to the public and key stakeholders a large selection of the building plans submitted for bye-law approval to the old Londonderry Corporation and to the Londonderry Development Commission. With this in mind, museum staff, community archivists and volunteers began cataloguing all of the historic building plans – selecting 300 of the most at-risk items for this pilot project. 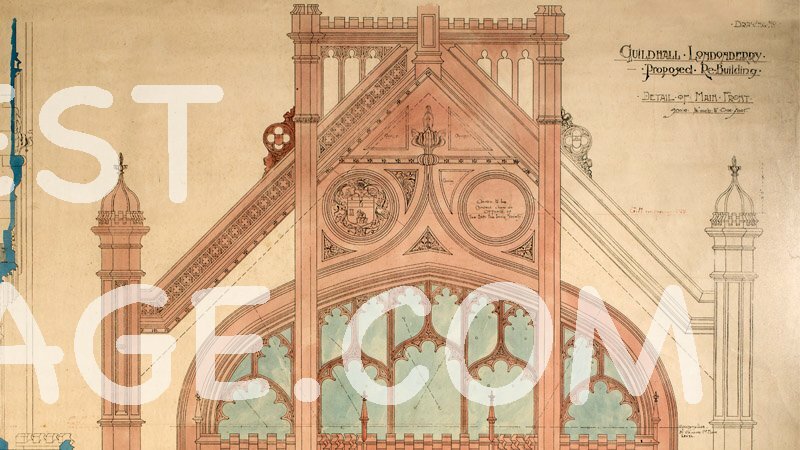 Plans were subsequently scanned for archive purposes and this online catalogue developed by Guildhall Press. 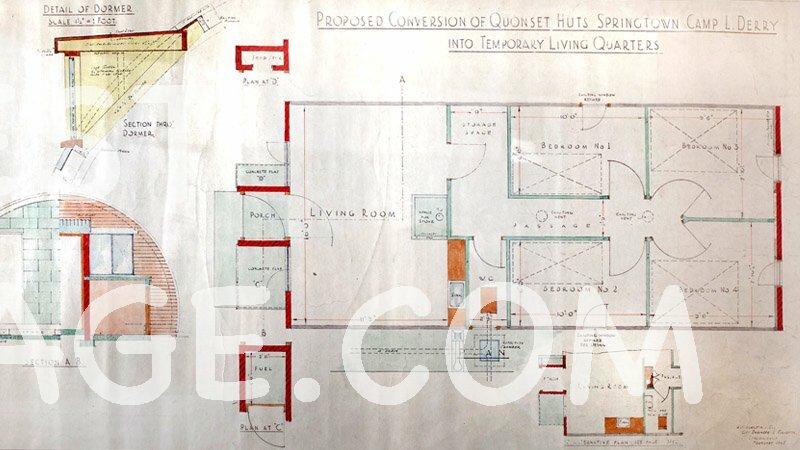 Thanks to the generous funding of NI Environment Link under its Challenge Fund, these colourful samples of the city’s Historic Building Plans are now permanently conserved and have been made openly accessible in a variety of formats to the general public. 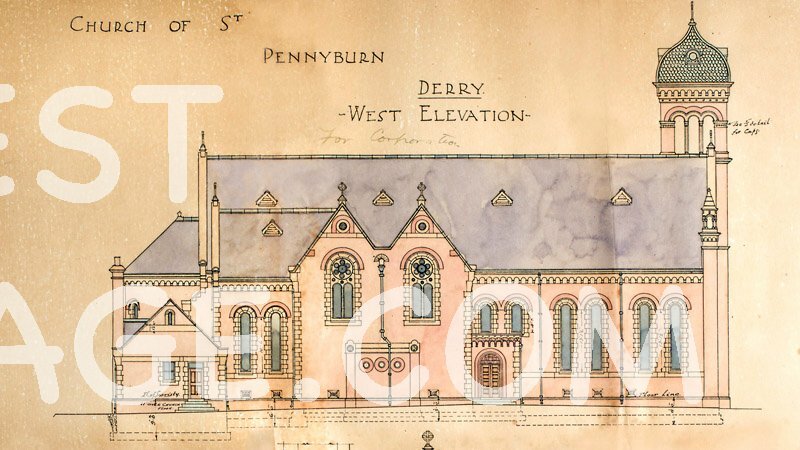 The archive is a unique resource for guiding the conservation of Derry’s historic townscape. The new digital versions will help preserve the irreplaceable archive for future generations, historians, the education sector and professionals working in the field of built-heritage conservation. 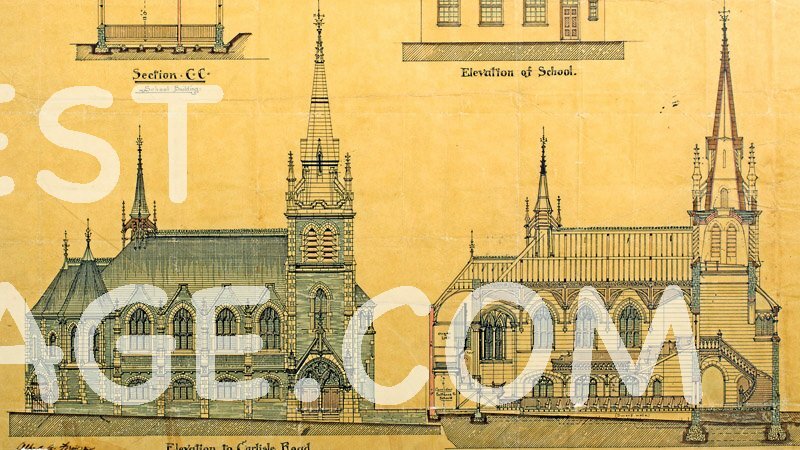 The archive contains highly detailed, sometimes beautiful, works of art in their own right: hand-drawn plans of the many significant buildings and public amenities in the city; factories and premises now long gone; streets of private and subsidised residences; schools, churches, warehouses and infrastructure. You will find an eclectic mix of our city’s built heritage throughout this site, the accompanying exhibition and booklet. 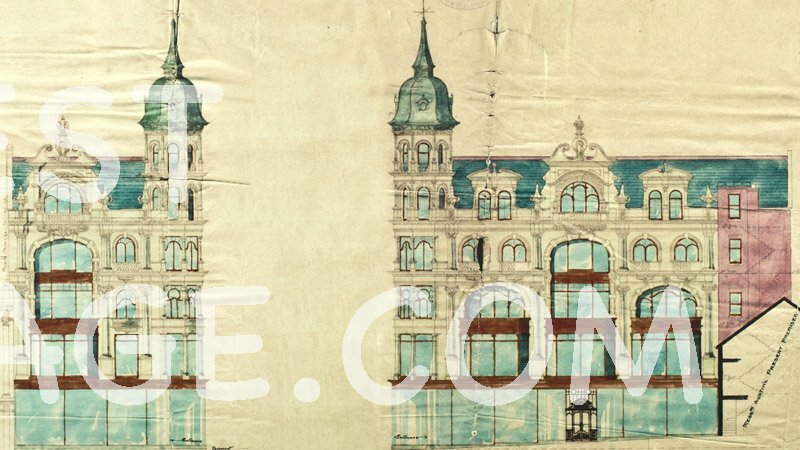 The archive has hundreds of drawings relating to the city’s most iconic building – The Guildhall. 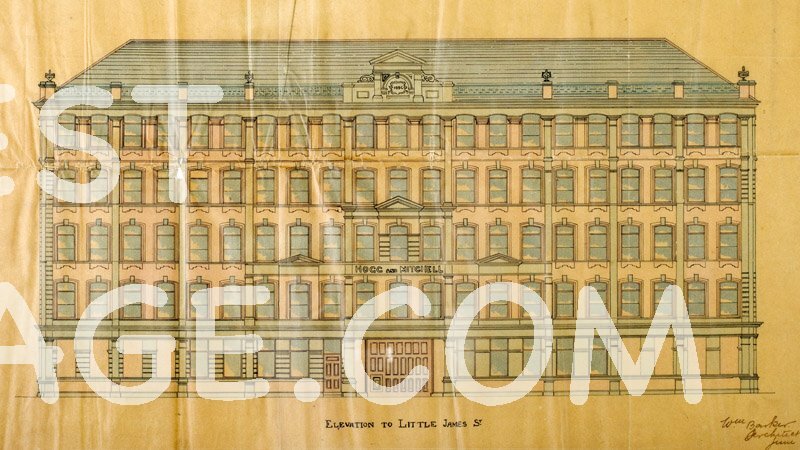 The former premises of the Hogg & Mitchell shirt factory on Great James Street have now been converted into appartments and commercial businesses. 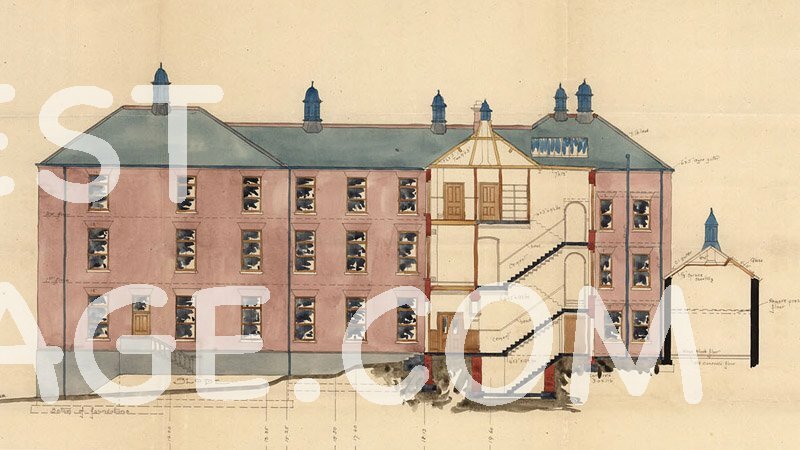 It was designed by an architect by the name of W A Barker who also designed the Ebrington shirt factory. It opened in 1896 and was just one of the many shirt factories in the city, which at the time was one of the most celebrated shirt making regions in Europe. Austins of the Diamond. One of Ireland’s oldest department stores. St Patrick’s Church in Pennyburn is one of the most distinctive churches in the parish. Carlisle Road Methodist Church is one of the more ornate gothic style buildings in the city. 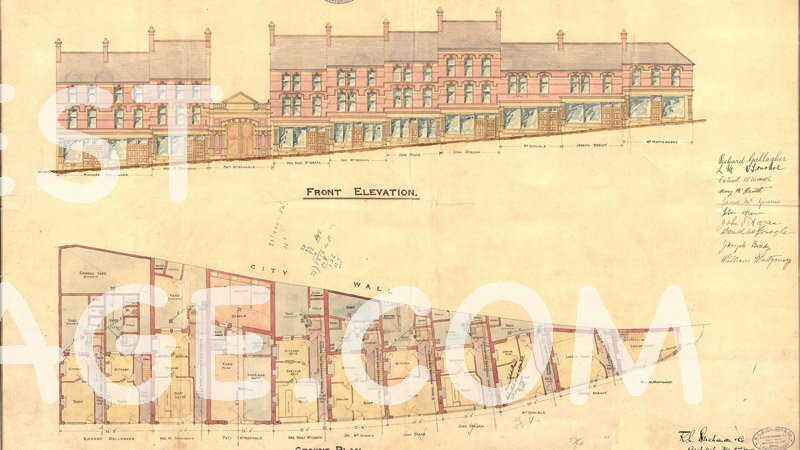 Waterloo Street has always been famous for its public houses, this drawing illustrates the extent of these premises on this location almost a century ago. 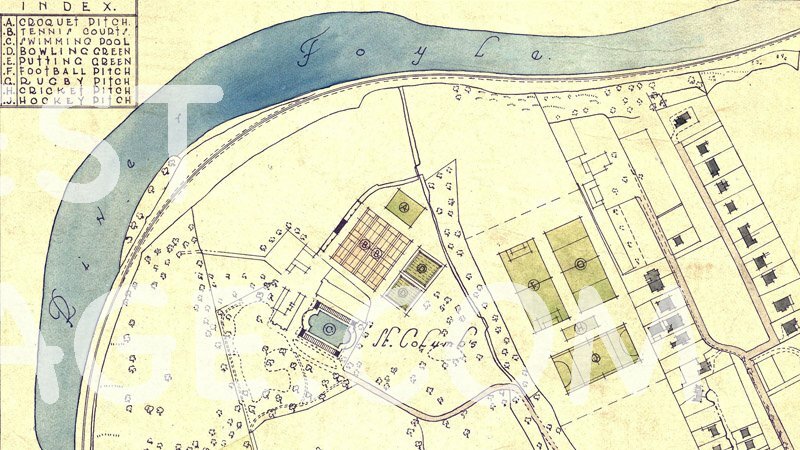 The city’s primary park, and one of the oldest in the city – St Columb’s Park was originally planned to facilitate the popular games and leisure activities of the era. Old US navy Nissan huts were converted to basic living quarters in the 1950s for local residents who were in need of accommodation. Bayview House – one of the larger private homes in the city, now sheltered accommodation. The O’Doherty Tower, built in the 1990s, was later converted to the city’s premier museum – The Tower Museum.